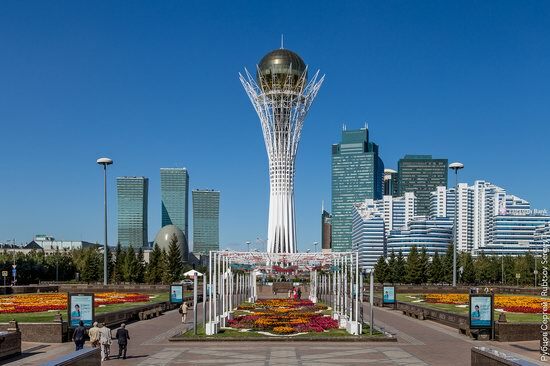 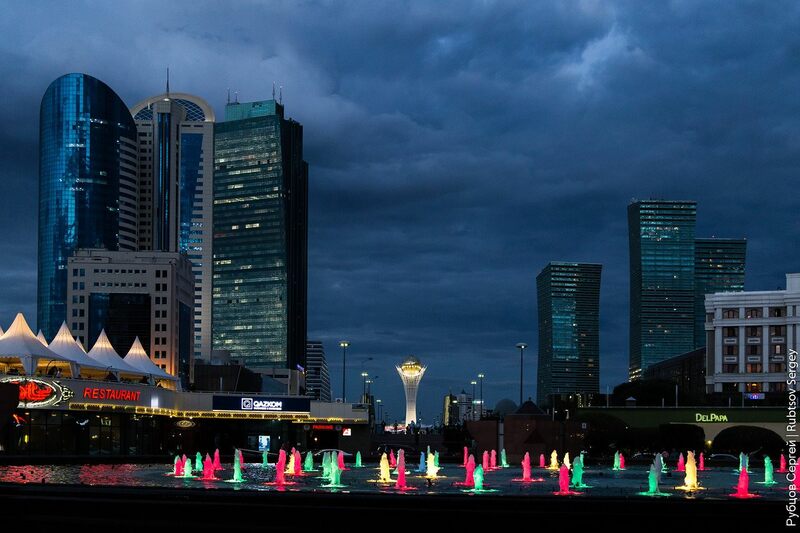 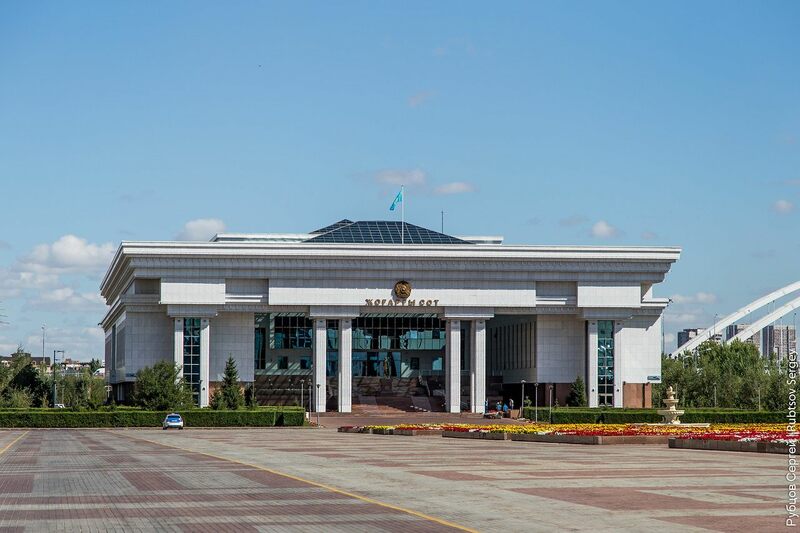 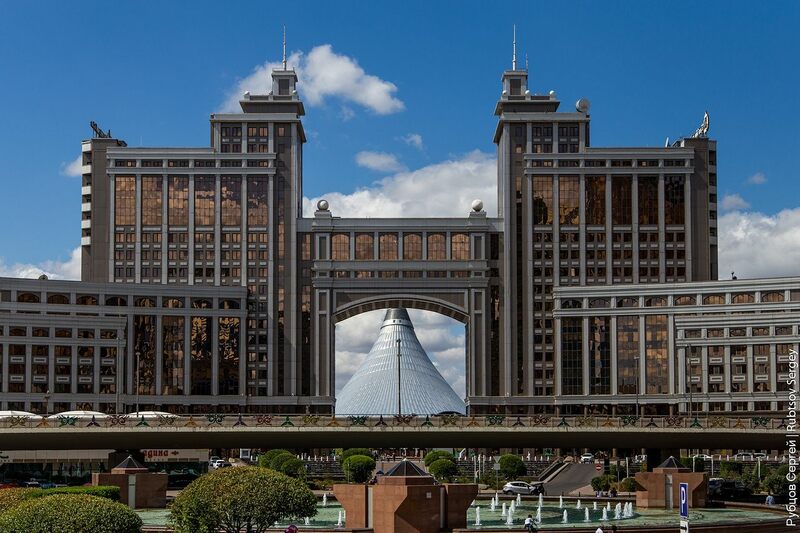 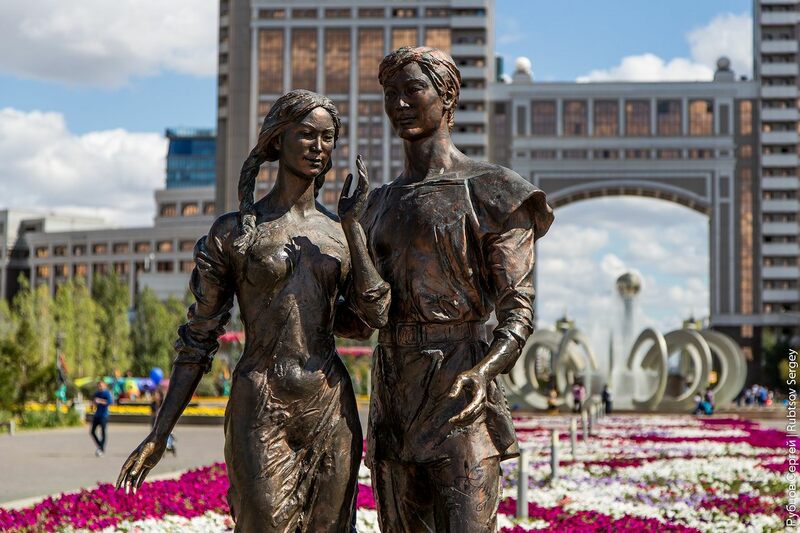 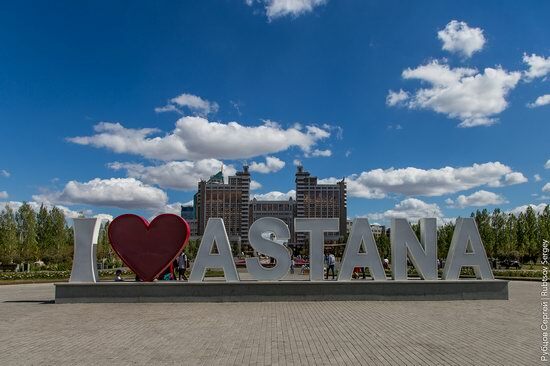 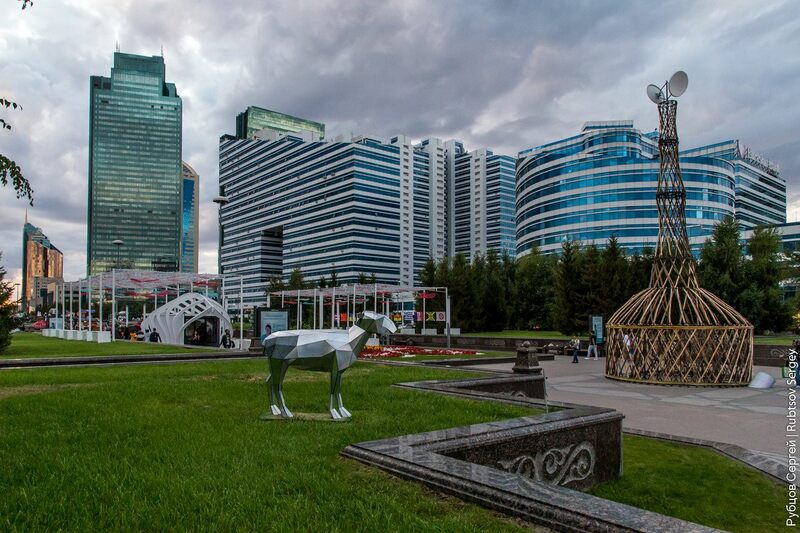 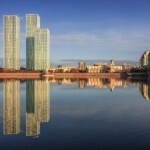 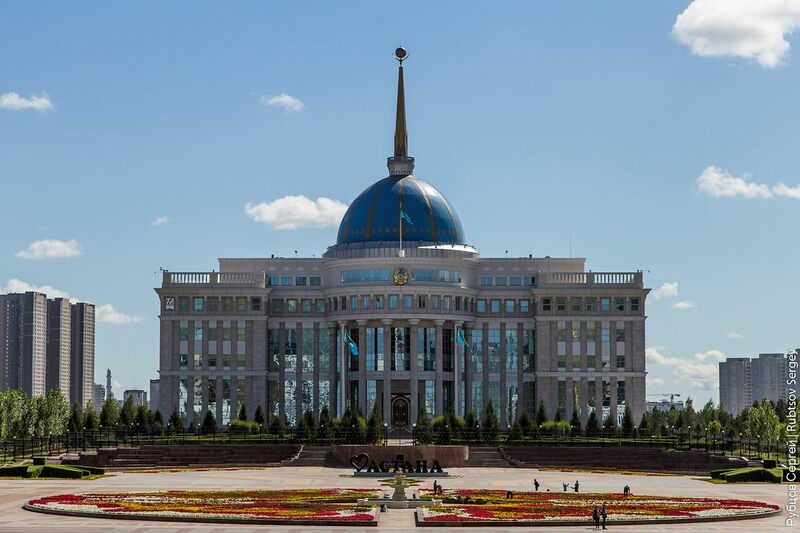 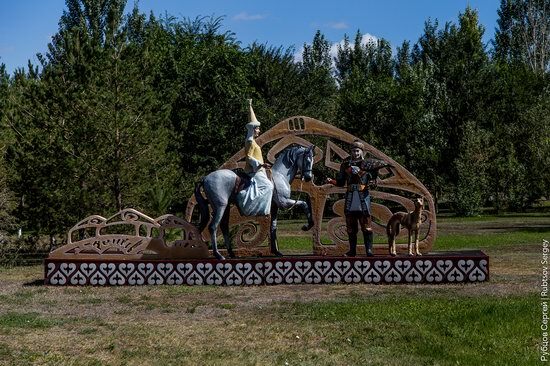 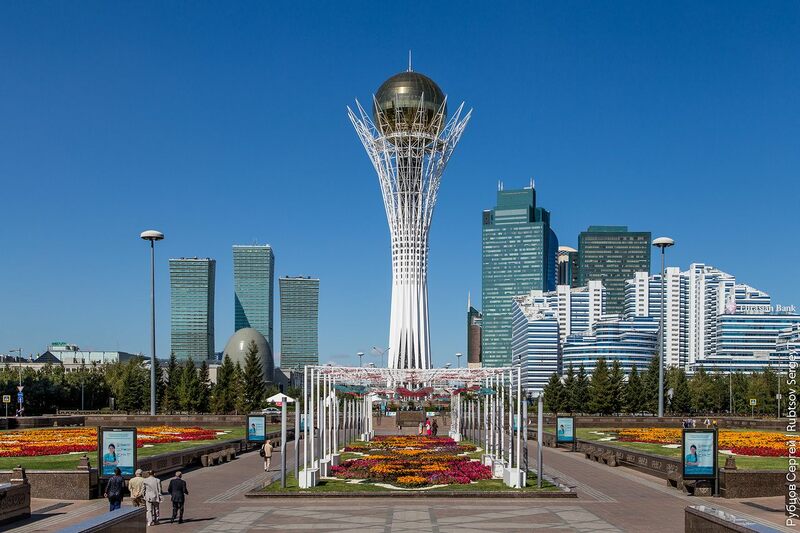 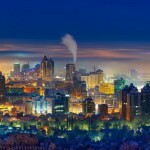 Ak Orda – the residence of the President of the Republic of Kazakhstan. 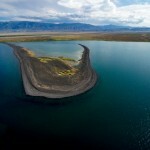 On the bank of the Ishim River. 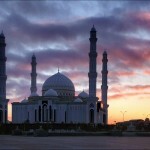 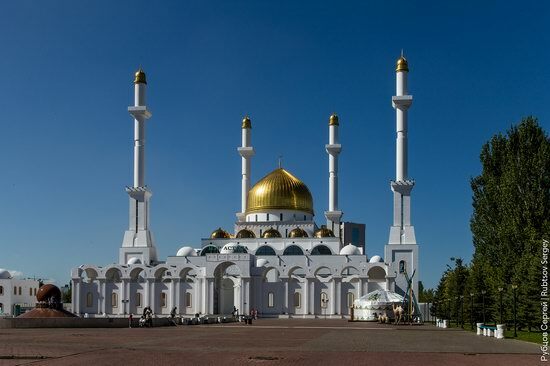 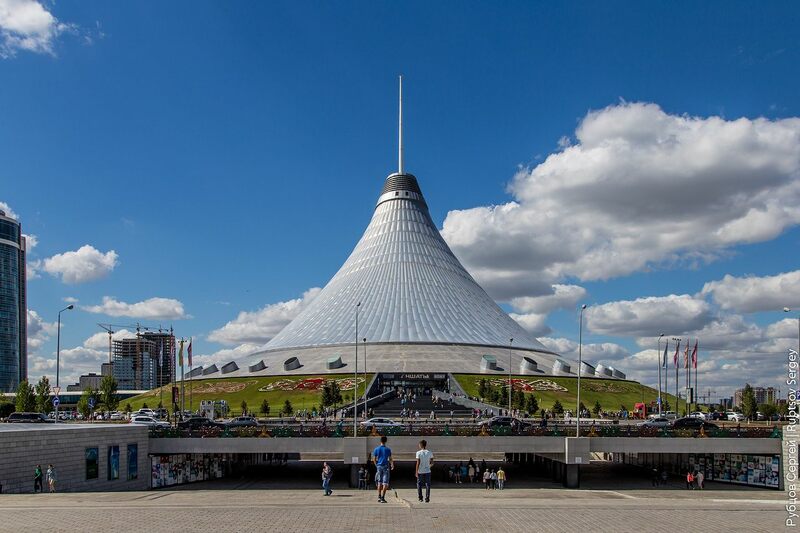 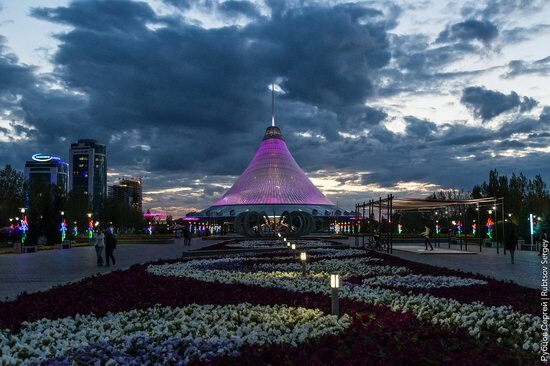 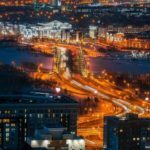 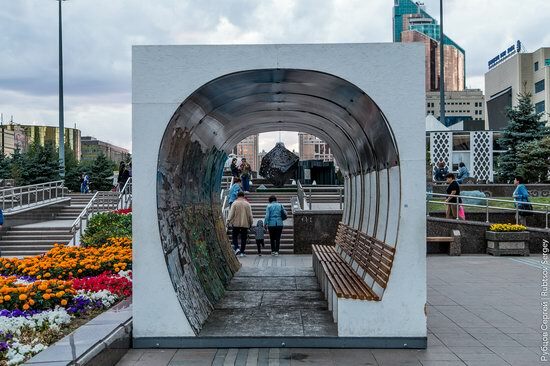 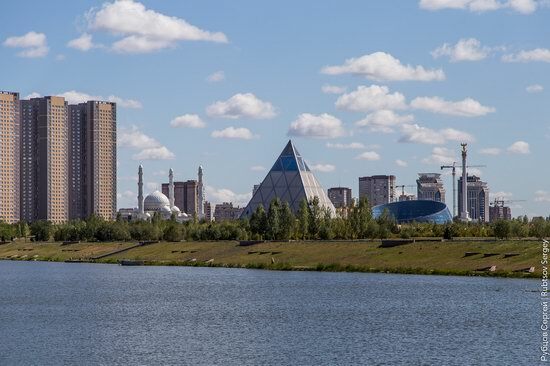 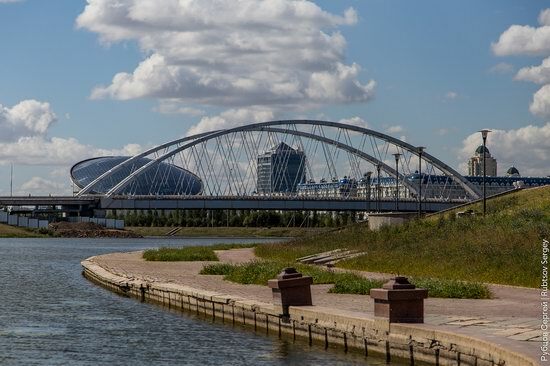 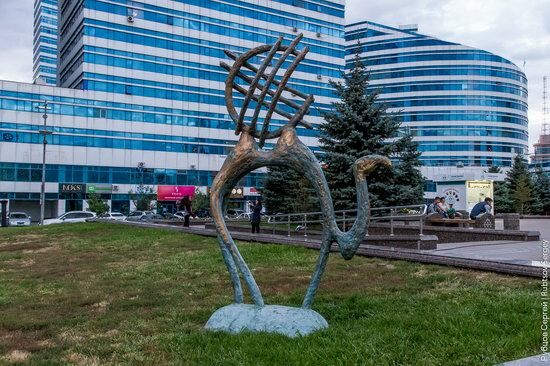 On the opposite bank you can see the Palace of Peace and Harmony (pyramid), the monument “Kazak Eli”, the round building of the Kazakh National University of Arts, as well as Khazret Sultan mosque. 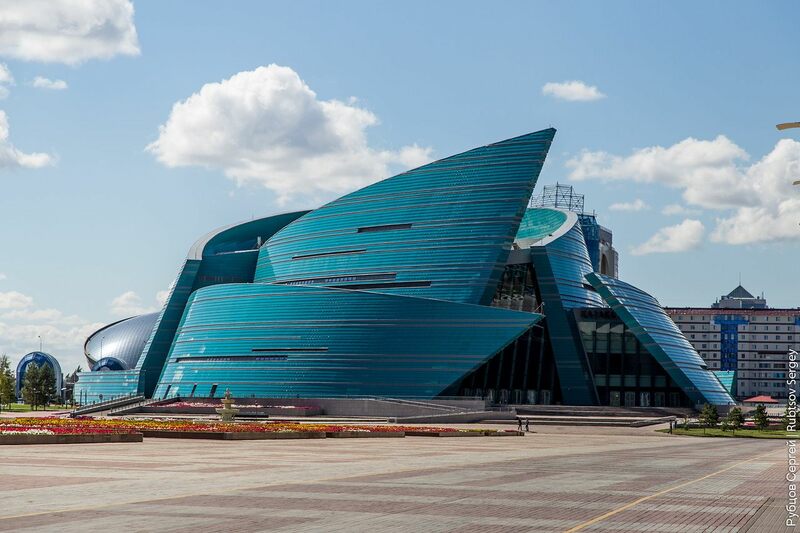 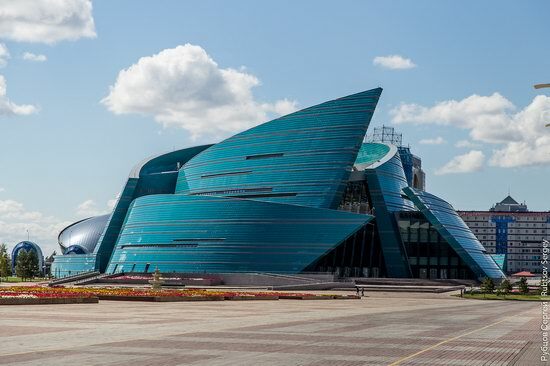 The main concert hall of Kazakhstan. 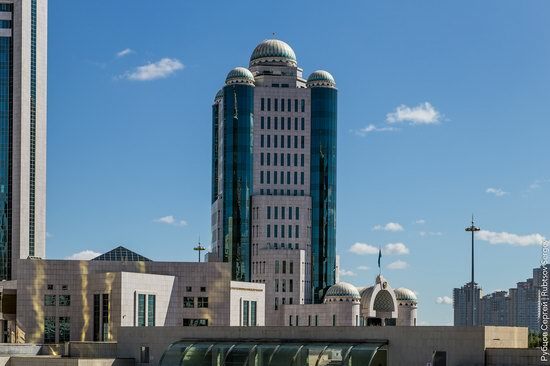 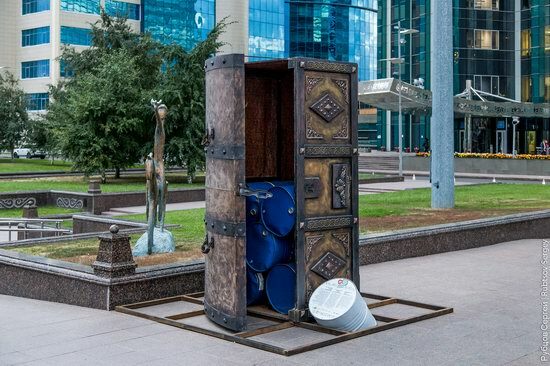 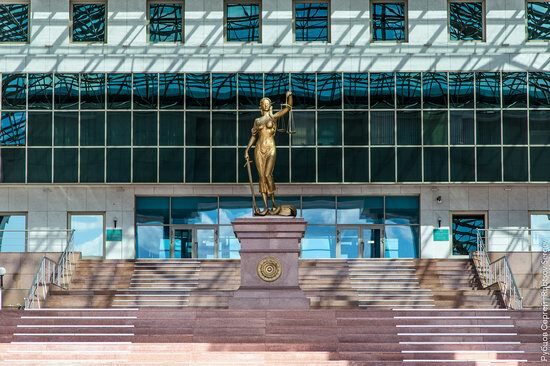 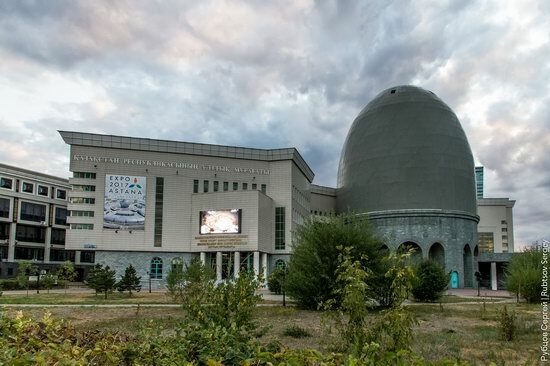 The National Archive of the Republic of Kazakhstan. There are a lot of various art objects. 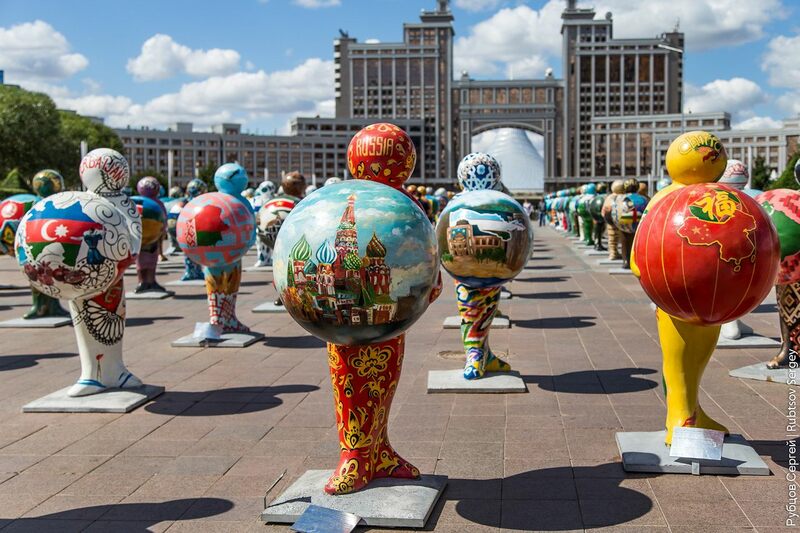 The figures depicting all countries participating in Expo-2017. 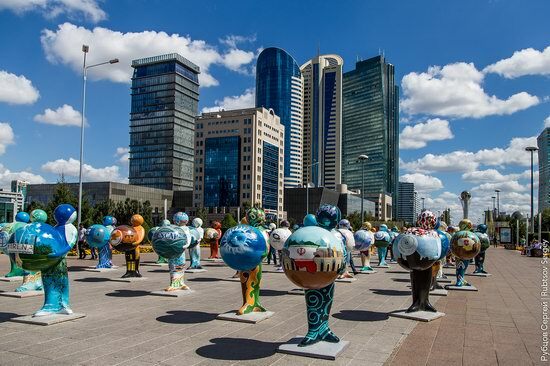 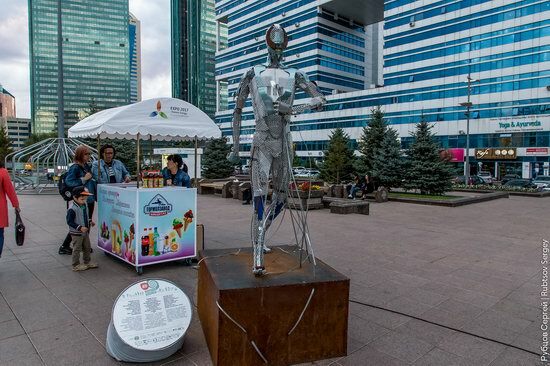 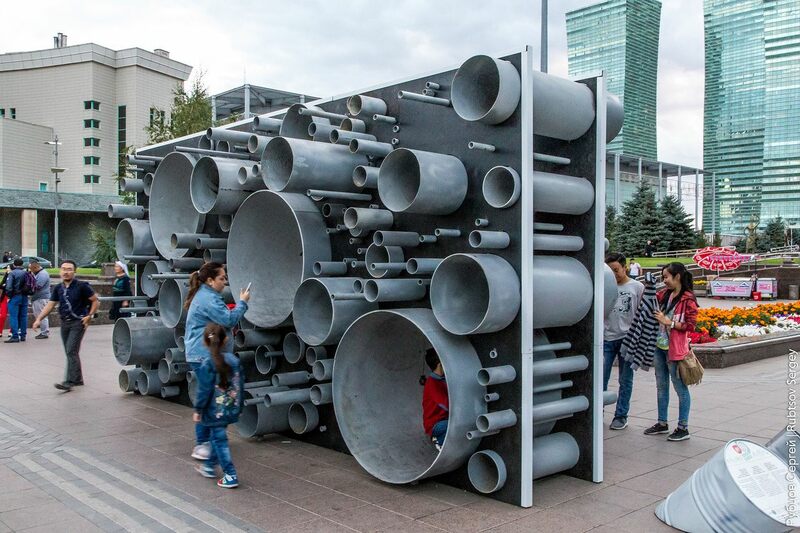 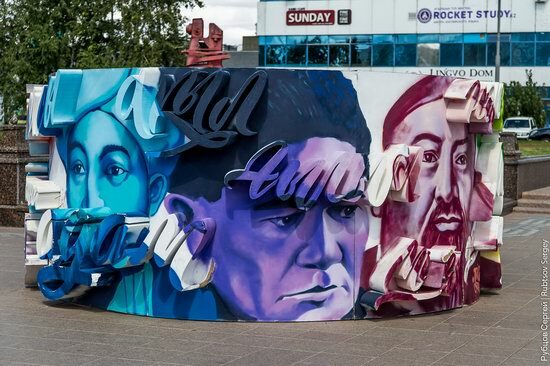 115 countries and 22 international organizations took part in the exhibition that was visited by more than 3 million people. Khan Shatyr – a large shopping and entertainment center, one of the city’s attractions.